Authored by davidre on Mar 11 2019, 4:05 PM. 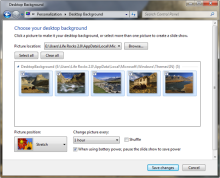 This allows to exlude single images from the slideshow by unchecking the little checkbox in the top right corner. added again an excluded image will be excluded again. Let's not show the checkboxes at all unless we're in the slideshow view. Also, this has nothing to do with your patch specifically, but seeing so many checkesd checkboxes in the slideshow's preview pane makes me realize just how much I want the Breeze style checkbox to actually look like a checkbox, with a checkmark instead of just a filled in roundrect. Sorry for that. Actually these warnings were the reason why the checkboxes were visible everywhere. Even if the checkboxes are not visible I got these warnings. In an attempt to get rid of them I tried enabled. How would the folders on the folder list on the left be removed as sources? Yeah also not a fan of that. I had the idea to give it maybe a small grey rectangle like the action icons as the empty checkboxes or the blue blob can be hard to spot. See the empty checkbox in the last row or the checkbox on Cascade in the screenshot. One thing that might work is the behavior that google photos uses. When you select an item, the item shrinks by about 20% and a blue selection box appears around the image. It just makes it more noticeable that the item has been selected. Since all items are selected by default here, I'm not sure that behavior would be the most appropriate. Oh I thought it was a selection. Could the checkbox be located at a top corner sticking out a bit? It is a selection, it's just that everything is selected by default. :) I think we should try to improve the checkbox's appearance rather than working around its deficiencies IMO. I tried to do this but the checkbox is cut off. If I move it out if the Rectangle I can't anchor against it because they are not silblings nor is it it's parent. Anchoring to thumbnail also doesn't work. The checkboxes are right where they're supposed to be, as for their visibility: maybe it would be useful if we had a variable that would allow us to add a background behind a checkbox. Thanks for the heads-up! I was orienting myself on the Code around. toggled is a misleading term as toggling in either direction is toggled. You want to represent state. The typical QAction term is "checked"